As part of efforts to tackle the epileptic power supply in the country, The Minister of Power, Prof. Barth Nnaji, has said that the Federal Government has signed an agreement with a South Korean firm, Daewoo Engineering and Construction Company Limited, to generate 10,000MW electricity. Daewoo Engineering and Construction Company is one of the largest construction companies in South Korea. A statement from the ministry made available to Business World quoted the minister as saying that Daewoo under the terms of the Memorandum of Understanding will invest 20 per cent equity in various engineering and construction services in the power sector. The statement noted that the project when completed will significantly improve the epileptic power situation currently being experienced across most parts of the country. The statement further hinted that Daewoo is to provide 20 per cent equity in the various projects listed in the scheme, as well as offer expert advice and guidance on electrical, production and construction of power projects to interested companies. Nnaji was also quoted as saying that the Nigeria government with the agreement it enter with Deawoo has changed the old practice where contractors just execute project and leave. 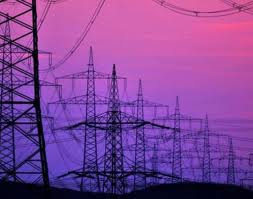 He said the agreement compelled the South Korean Company to not only execute contracts, but invest in the power sector. The Chairman of Daewoo Engineering and Construction, Chief Joseph Penawou, expressed delight in the deal.